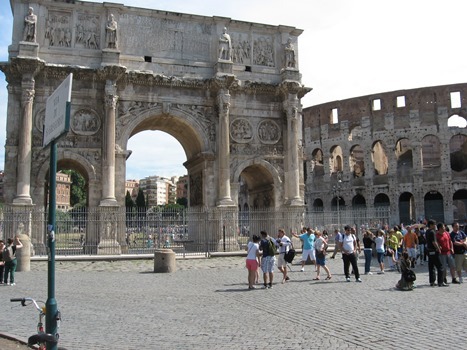 Seven LC professors are leading more than 60 students on study abroad experiences in Chile, Costa Rica, Greece and Italy during the January 2015 term. A total of 22 students are learning Spanish for three weeks in Costa Rica. Classes will be taught in San José and Manuel Antonio; students of various levels of Spanish language ability are included. Local Costa Rican professors teach morning classes and afternoons will include experiential learning and exploring Costa Rica’s rich culture and natural beauty. Dinner and various cultural events are planned with local host families. Dr. Alicia Carter and Tulio Cedillo, both assistant professors of Spanish, are leading this program. The Greco-Roman Experience takes 21 students on a journey back to antiquity through this exploration of the Greco-Roman world to Greece and southern Italy. The great cities of the ancient world will be the classroom as students will address masterpieces of Greek literary art, simultaneously considering the mythology emerging from it and those elements of poetry, drama and fiction-making that constitute genre in the Western world. Dr. David Lipani, professor of English, and instructor Tracy Simmons are leading this program. Chile boasts as one of the fastest developing economies in South America. Five students, led by Dr. Deanna Cash, assistant professor of human development and learning, will enjoy this unique program to facilitate greater immersion and exchange with the people of Chile. Students are education majors and will engage as teachers of the English as a Second Language and will share their North American culture with local students in the Valparaiso region while enjoying homestays and cultural excursions. Dr. Delane Karalow, associate professor of art, and Siobhan Byrns, assistant professor of art, will take 15 students to Rome, Italy, a fascinating living museum of history and art. The classroom includes the Colosseum, Basilica di San Clemente, the Pantheon, the Trevi Fountain and the Vatican. Fine arts students will experience some of the greatest art and architecture the world has ever produced, while photography students will also have the opportunity to capture Rome on film.